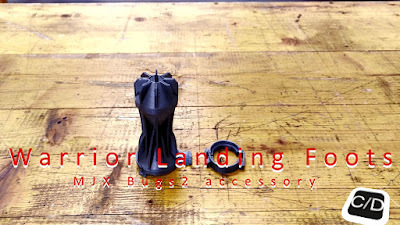 Today we present a new project for MJX Bugs 2, Warrior Landing Foots, an accessory to achieve the best landing in every situation. 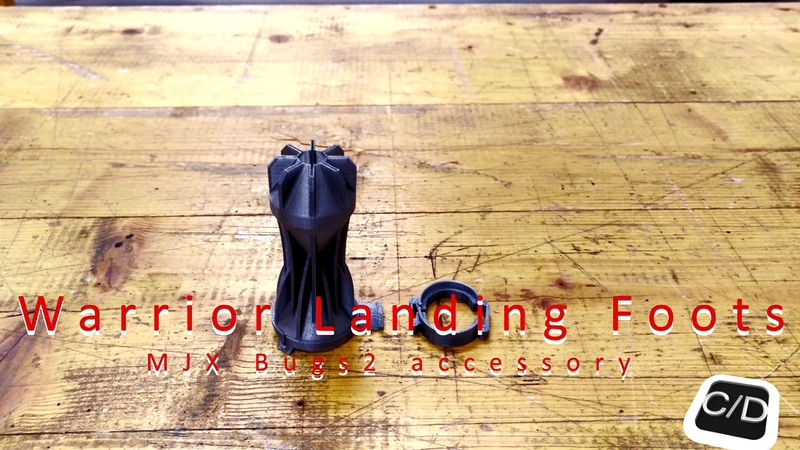 These foots have been made with the additive manufacturing technique, we designed and developed a system to improve the landing of MJX Bugs 2, a quadcopter that's all the rage now. The height achieved with foots mounted on board is enough for a safe quadcopter landing and it allows you to mount other devices to the drone (a second camera for example), we'll have that ready for you. The material used for our project was PETG (Polyethylene terephthalate), a plastic resin of the polyester family that allows the printer to be light and strong enough to be resistant in all conditions. In following review, we show several landing performed with our foots. As you can see, every landing is soft and the quadcopter reactions isn't so critical. Follows a comparison from RunCam 2 to Bugs 2 recording with the Warrior Landing Foots on board. Please, feel free to subscribe to our channel to be informed of next updates. Thanks for your support!